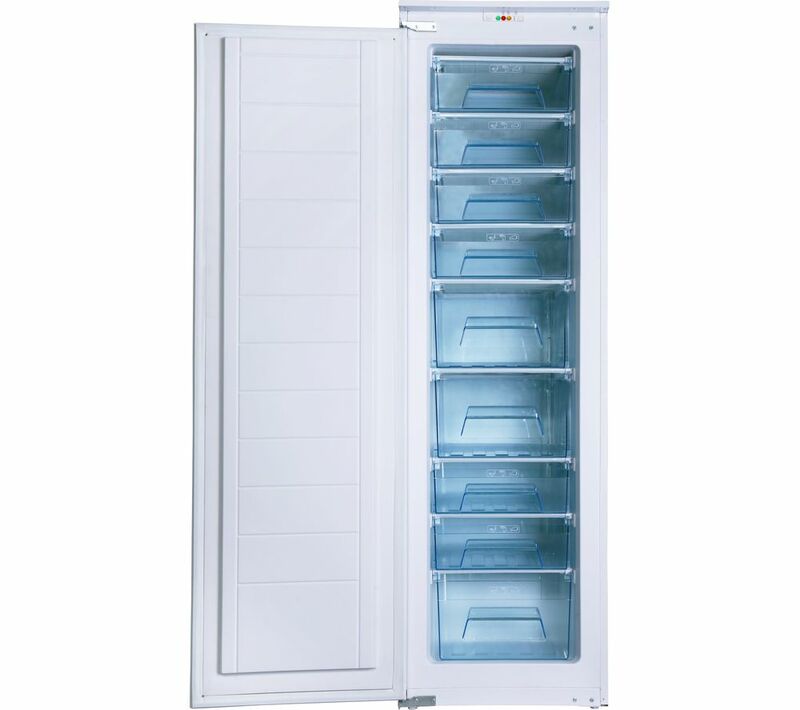 The Amica BZ226.3 Integrated Tall Freezer has plenty of room for your week's groceries thanks to a large selection of freezer drawers with ergonomic handles deigned to maximise space and provide easy access to your food. A super-freezing function locks in flavour and nutrition faster, and keeps food fresh – handy for those times when you're in a hurry to pack the week's shopping. With an A+ energy rating, this integrated freezer uses less energy than lower rated appliances to help you save more money on your energy bill.